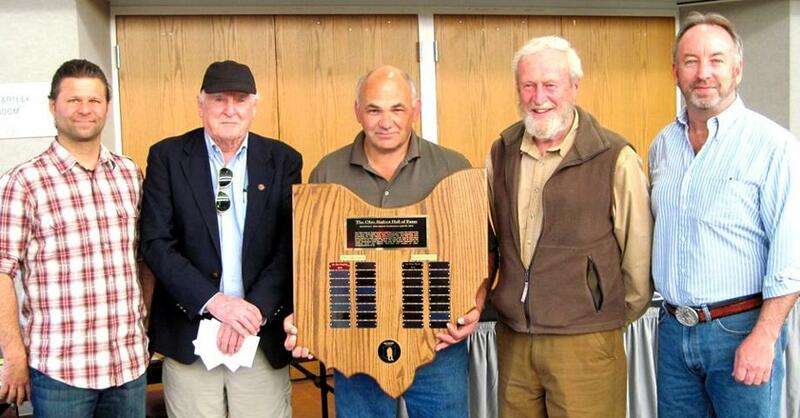 The Ohio Bigfoot Hall of Fame was created to acknowledge the contributions of individuals to Bigfoot research and education, two categories are recognized: researchers and investigators operating within Ohio; and others who have contributed to research and education in Ohio. The inaugural inductees were Don Keating and Peter Byrne. Julius E.”Smokey” Crabtree was raised in Fouke. He grew up quickly and took on responsibilities at an early age. At sixteen he was a welder for the U.S. Navy, staying in the service in that role for three years. During that time he was also a boxer, and fought in the Golden Glove tournament in San Francisco, California in 1944. He was also in the grocery business. At nineteen he volunteered for the Merchant Marines and by the age of twenty-three he was married and the father of three children. The family moved back to Fouke and built a home in the country; he continued to follow pipeline work as a welder. With his busy life, he still found time to roam the Sulpher River Bottoms to trap, hunt, and fish, the things he enjoyed and loved as a boy. Smokey and members of his family were actors in a movie entitled The Legend of Boggy Creek about the Fouke Monster. Smokey served as a wildlife guide and consultant for the filming, and he is the author/publisher of Smokey and the Fouke Monster, and other books. Robert W. Morgan rates highly as one of the single most passionate, dedicated and controversial of Bigfoot truth seekers. Robert graduated from Lincoln High School in Canton, Ohio in 1954. Morgan first saw Sasquatch in March, 1957 and became involved in full-time research on Bigfoot in 1969. He has participated in numerous expeditions to find Sasquatch. In 1974 Robert founded the American Anthropological Research Foundation (AARF), which is an organization committed to researching and documenting everything pertaining to Bigfoot. Moreover, Robert has served as the host of the weekly radio program the AARF Show. Morgan has made guest appearances on various talk shows that include Art Bell, Larry King, Tom Snyder, and Ron McConnell. Robert appeared as himself in the TV special "Monsters! Mysteries or Myths?," the fantastic documentary "Bigfoot: Man or Beast?," and "The Mysterious Monsters." Loren Coleman has been involved in cryptozoology field work and research since 1960. He is the Director of International Cryptozoology Museum in Portland, Maine. Coleman is the author/coauthor/contributor of over 35 books, including, Bigfoot! The True Story of Apes in America (2003), The Field Guide to Bigfoot and Other Mystery Primates (1999, 2006), Mysterious America (2003, 2007), True Giants: Is Gigantopithecus Still Alive (2010), Weird Ohio (2005), Tom Slick: True Life Encounters in Cryptozoology (2002), and Cryptozoology A to Z (1999). Ohio-made millionaire Tom Page is a name you might not have heard often in the search for Sasquatch. He, however, is one of the quiet supporters of the search for Bigfoot in the late 1960s and early 1970s. He served an important role in the early days of the search for Sasquatch, as he was the quiet supporter of the hunt for Bigfoot after Texas oilman Tom Slick died. Page contracted services from Roger Patterson and Dennis Jensen, followed by a contract and monies going to Peter Byrne, from 1969-1973. He was the man behind the scene in getting Bigfooters, like Rene Dahinden, to Bossburg and the man who had the money to flush out supposed Bigfoot films by Ivan Marx and Joe Metlow. Bob Gimlin lives in Yakima, Washington. He was one of two men who obtained the best piece of photographic evidence of a Bigfoot or Sasquatch: the Patterson-Gimlin film. On October 20, 1967 along Bluff Creek in the Six Rivers National Forest in California, Roger Patterson and Bob Gimlin filmed a female Bigfoot. Bob is an eyewitness to history. He has recounted the events of that day many times and was involved for several months in the media frenzy that surrounded the screenings of the Patterson-Gimlin film. Eventually, he returned to his normal existence of ranching and raising a family. He always maintained an interest in Bigfoot and after Patterson’s untimely death in 1972, Bob was accommodating to researchers who would contact him periodically about the film. He attended the 1978 Sasquatch Conference in Vancouver, British Columbia and made himself available to television production companies as the subject garnered widespread attention in the late 1970s. Betty & Leon Parks of Eaton, Ohio from Preble County were actively investigating and documenting many Ohio Bigfoot reports since the 1970s when they contacted John Green of Harrison Hot springs, BC requesting information on some possible Ohio reports. Some of their most famous investigations included the Eaton, Ohio cases as well as multiple reports from Coshocton and Guernsey county with Don Keating of the Eastern Ohio Bigfoot Investigation Center. They have spoken at or attended many Ohio Bigfoot Conferences and monthly meetings. They were truly the pioneers of the Ohio Bigfoot scene. John Green is a Canadian retired journalist and a leading researcher into the Bigfoot phenomenon. He is a graduate of both the University of British Columbia and Columbia University and has a database of more than 3,000 sighting and track reports, leading some to affectionately refer to him as "Mr. Sasquatch." As a renowned authority in the field, Green has authored several Sasquatch books, including Sasquatch: The Apes Among Us, regarded by the Bigfoot Field Researchers Organization (BFRO) as the "best written book on the subject". The first book on the topic Don Keating read from cover to cover was John Green’s “Sasquatch: The Apes Among Us.” In August 1984 the Newcomerstown News ran reports of a strange creature seen in the area. Keating credited these two events with sparking his interest in the phenomenon. He began to investigate reported sightings. In June 1985 he helped arrange a public meeting to discuss Bigfoot sightings. Though originally to be a one-time event, many more such meetings followed. Don Keating began the Bigfoot Conference/Expo in 1989, held in Newcomerstown until 2004. Beginning in 2005 the Salt Fork Lodge hosted the event. Without Don the Ohio Bigfoot Conference and other such conferences would not be what they are today, he is a true pioneer and visionary in Ohio and beyond. In the absence of opportunities to discuss Bigfoot research in scientific forums these conferences have provided a formal setting to facilitate this exchange. Many social and research connections have been made as a result of Don's vision. Many other conferences around the country have followed in the steps of the Ohio Bigfoot Conference. The establishing of these conferences has been an invaluable contribution to the research of Bigfoot. Known as one of the four horsemen of sasquatchery, Mr. Byrne is an adventurer, a conservationist/philanthropist and author. He has written numerous books about his fascinating life, his work in conservation and also The Search for Bigfoot, a sequel to this classic book is scheduled for release in the spring of 2012. Peter has also led long term, professional expeditions in search of the Yeti and bigfoot.